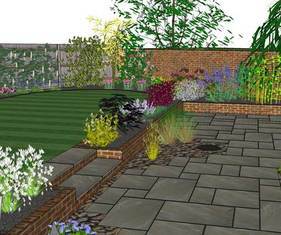 We were delighted with the design for our garden. Andrew listened carefully to our requirements, and was happy to incoroprate these. Where we weren't sure, he made excellent & imaginative suggestions - but was always careful to keep our overall budget in mind. He was a pleasure to work with! Just wanted to say thank you so much for doing a fantastic job on the garden. We saw the design and thought it looked interesting. I had no idea that it would make our house a million times better. 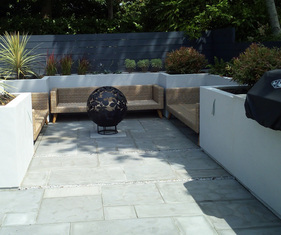 There is no way in a million years that we would have been able to come up with something so fab for our garden, front and back, and we are truly delighted with the result. I thought that we had high standards but I'm delighted to say that you have surpassed them and have done an immaculate job. It's made the world of difference and we can now go out and enjoy our garden again. Thanks a million. More to follow, keep checking back!